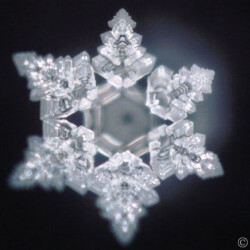 If you have spent any time researching water, you have probably come across the incredible work of Masaru Emoto. He is the guy that takes the amazing pictures that appear to show that water responds to communication or to its environment. For example, when you say loving or kind words to water, it will form into beautiful patterns. If you say angry words to water, it will form fractured or less pleasing patterns. He has also demonstrated that water from different water sources form different molecular shapes. You might want to take a look at his book: “The Hidden Messages In Water” or at least check out his work on Google Images. It is fascinating and worth the effort. Mr. Emoto has some really interesting views on the ability of water to reflect its history and to be able to respond to its environment. I haven’t done enough research to be able to offer an educated comment on any of his assertions. However, when I read his message below and followed the instructions, the hair on my arms stood up. Events in my life, particularly those that happened after the passing of my father, have opened my eyes to things that I had previously never contemplated. I hope you will take a couple of minutes to read the following message from Masaru Emoto. I leave it up to each individual to make their own evaluation. As always, the opinions in this article are those of the author.